La Vong Eco Tourism is located in 12,8 ha area, about 35 km from Hanoi to the west. The advantage of this project is beautiful natural landscape and large open space. The project is designed into 4000 m2 artificial sea, amusement park, kids farm, cuisine village, café and eco lakeside villas for family. This project is considered to be a new wind of the modern landscape architecture with the first 4000m2 artificial sea built in the North, waterfall gates, attractive-view restaurants, lakeside villas, trendy games and high quality services. Eden architects have taken advantage of waterscape and natural landscape of the project to create a new attractive site for Hanoi citizens as well as tourists from other places. As walking the first steps into La Vong Ecotourism, visitors will be overwhelmed with eco landscape and airy environment which is totally different from the urban. Vistors will step by step go through many surprising areas from moutainous landscape to ocean landscape. 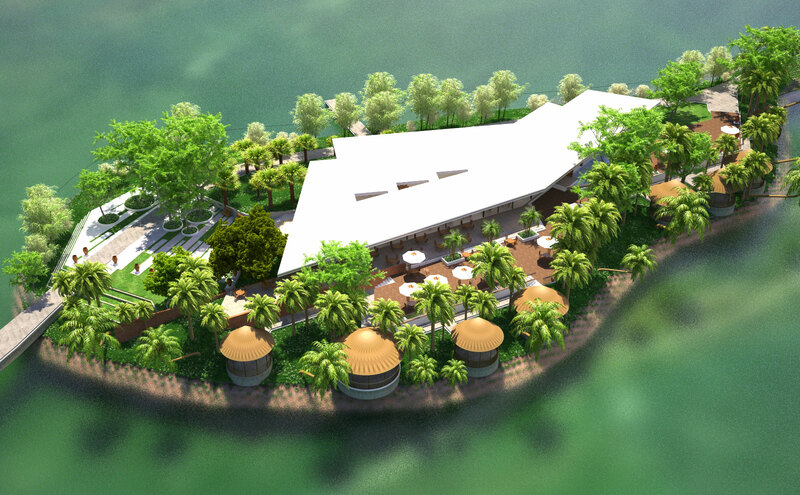 The project is invested carefully to become one of the most attrative tourism destinations in the North of Vietnam.